Custom designed shutters with a southern feel. 100% satisfied with Kenny’s work in our home in Erie and would highly recommend him. He made the process very simple: initial meeting brings over a ton of samples, let’s you pick whatever you’d like, no pressure, and gives you a quote on the windows you want done. Second meeting comes and installs blinds in a couple hours and you’re done. Very smooth and simple process. Very polite and respectful of our home. Thanks, Kenny! Kenny was great to work with and our window treatments look beautiful! I got several quotes and he was the most affordable for the quality of product. I will certainly go back to him when I am ready for window treatments in my basement! Blended Blinds is amazing! We just put shutters in our house and Kenny was wonderful. He was great start to finish. I highly recommend him for any blind/shutter needs! 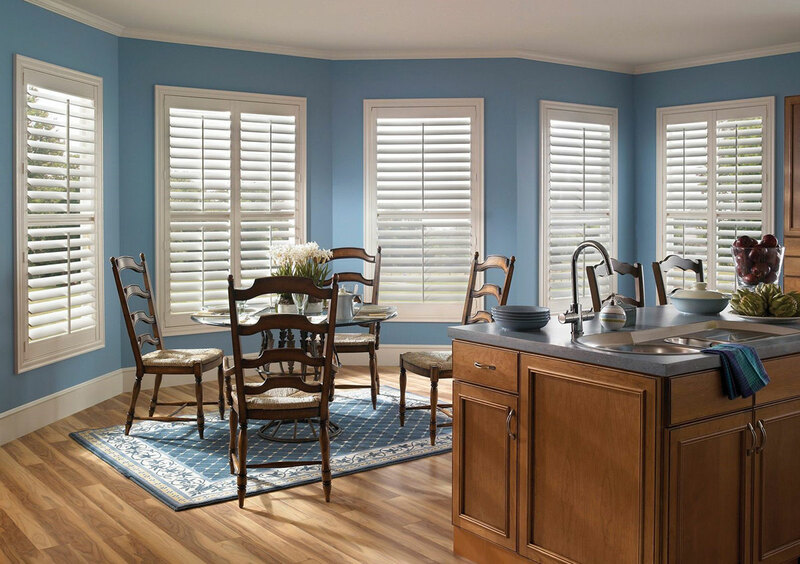 We had a fantastic experience with Kenny and the window blinds he installed for us. In fact, we were so pleased with our first order that we had him come back to measure for additional windows in our home. Kenny is fair, honest, and a super nice guy. He's been great to work with throughout the process. What a great experience! Kenny came out to measure our windows before we closed on our new home and then told us it would be about 3 weeks. 1 week and 6 days later the blinds were in and he was able to install next day. We LOVE our blinds! They look beautiful, and the whole process was incredibly easy. We definitely recommend Kenny and his service!! Very friendly and great services awsome price thank you. Disappointed with the customer service provided. At our original consultation we went over all the windows we wanted covered and decided to pay upfront. Once the consultation was over (and I do agree this was my mistake) I just signed the invoice with no review trusting I was clear enough on what I wanted. Installation was done a few weeks later (today) and once he was gone I realized one of the windows didn’t have blinds. I called Kenny and what was said to me was “well you know Diana, you signed the invoice agreeing to the order” which I totally get but like I told him I trusted that he understood exactly what we wanted which is why I signed the invoice thinking nothing of it. To finish off I told him “you’re right I did sign the invoice and there’s nothing I can do about that but thanks anyway” his response? “yup!” and that was that.. Personally I don’t think that’s very good customer service.